The month of May was incredibly encouraging as God brought out workers for the ripe New Mexico harvest. 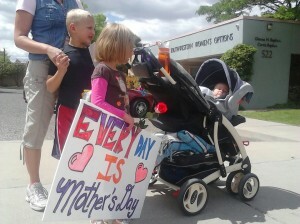 We kicked off the month with a Mother’s Day rally outside of the late term clinic. About 60 people prayerfully and peacefully surrounded the clinic with flowers and life saving resources for the moms going in for abortions. New prayer warriors came out with their children which is the strongest reflection of love and life possible for the community to see. 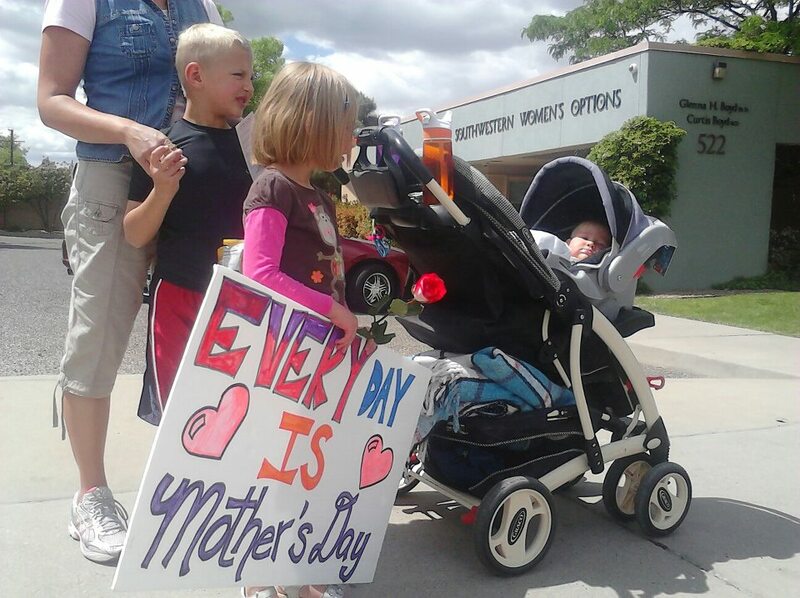 Everyday is mother’s day and we are privileged to minister, rescue and serve the pregnant, often desperate mom’s of New Mexico on a daily basis. On May 13th, Abortionist Kermit Gosnell was found guilty of murdering babies born alive during late term abortions in Pennsylvania. What many New Mexicans are not aware of is the fact that the very method he used to kill babies that resulted in the births of live babies (he then killed), is being used here by SWO. We held a press conference outside of SWO to make that known and to draw attention to the fact that abortion is barbaric and must be stopped. The Gosnell case gives us hope that more people will see the truth and reject abortion altogether. 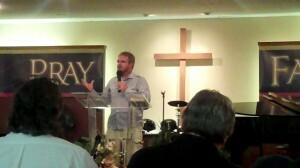 The media coverage was awesome, Praise God! 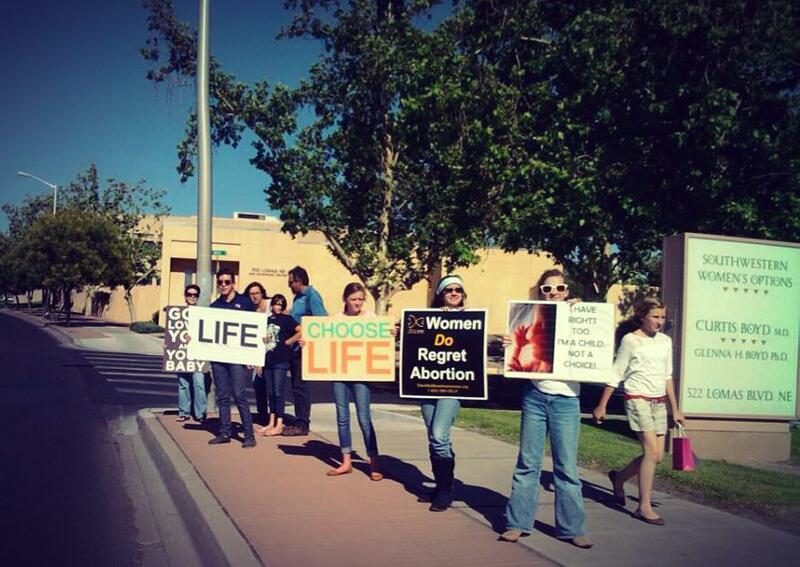 The month ended with the second monthly “Youth for Life Rally” outside of SWO. This generation is overwhelmingly pro-life and eager to bring this injustice to light on the streets. 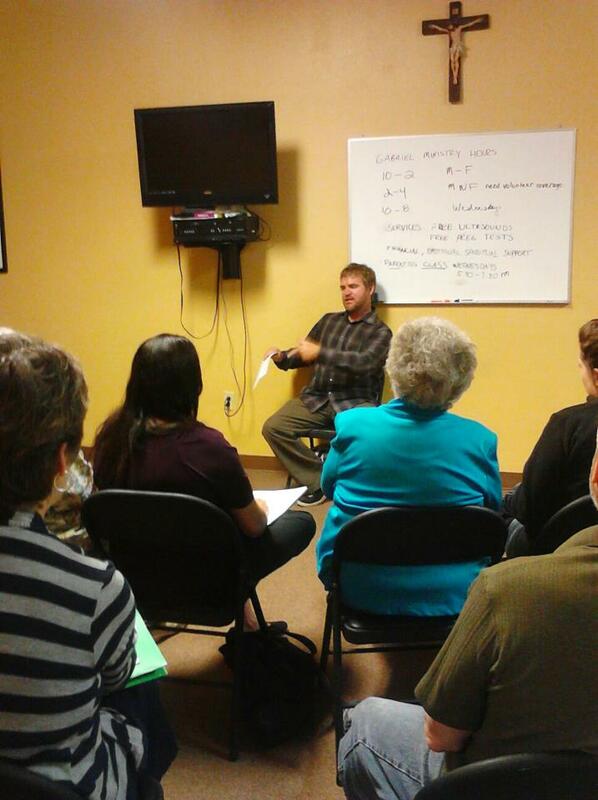 God is doing an amazing work here in Albuquerque, when Christians are obedient to God’s call, He accomplishes so much. The battle for life here continues so please fervently pray for all of our efforts and one day New Mexico will be abortion free. Above- Some of our faithful homeschooling mom volunteers. These ladies are awesome sidewalk counselors and are helping to raise up the next generation to be passionately pro-life by their own examples. 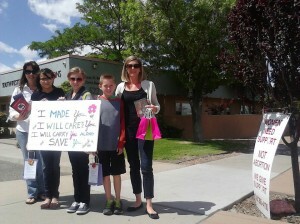 This month, there was an amazing story that unfolded out on the sidewalk in front of the Late-Term abortion clinic! Two young women came over to us as we were reaching out at Southwestern Women’s Options (SWO), the young woman who was there for an abortion was from Juarez MEXICO! She did not speak any English, but her friend who was with her did, they both had just come to Albuquerque, NM from El Paso Texas. A sidewalk counselor who was there with me, drove them both to Project Defending Life for life affirming help and an ultrasound. The young woman from Mexico traveled to El Paso and went to an abortion clinic run by Abortionist Franz Theard, she scheduled her abortion and paid $750. 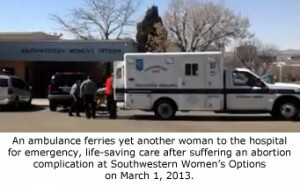 On the day of her abortion appointment she was told she was 19 weeks pregnant and that Theard only did abortions up to 15 weeks; they refused to give her the $750 she had already paid and they referred her to Southwestern Women’s Options! When the two young women arrived at Project Defending Life, Maria, the mom’s ministry leader was surprised to see them AGAIN…come to find out, the shuttle driver from El Paso instead of driving these women to Southwestern Women’s Options, he brought them to Project Defending Life (how good is God?)! At that time, the young woman from Mexico did not want any of the help that Maria had offered her and was very closed off to the idea of keeping her baby! They both refused any help and made their way to the appointment scheduled at SWO! 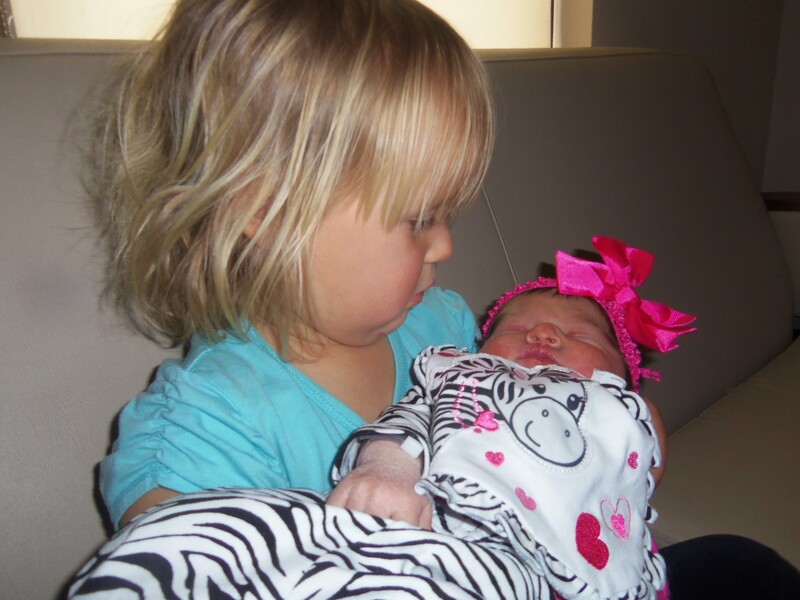 However, when they arrived the SECOND time to PDL she was open to having an ultrasound. 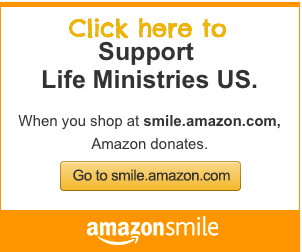 SWO told her she was 23 weeks pregnant and asked her to pay $3000 dollars for the abortion! 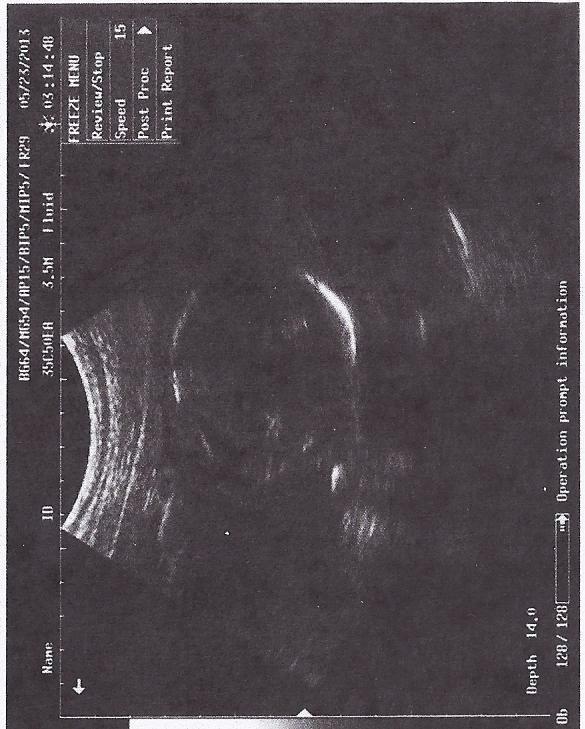 When Maria did the ultrasound a light appeared around the baby’s head (kind of like a halo) and continued to get brighter and brighter (See the ultrasound picture below). Maria, who has provided numerous ultrasounds over the years had never seen anything like this before! The young mom noticed the light shining on her baby and was so moved that she took it as a miraculous sign from God and was so excited to be a mom and be pregnant! At the end of the day she left PDL and headed back to MEXICO excited to be a mom and so thrilled about the baby she was carrying…for the first time in her pregnancy! God was certainly at work in this mom’s life and was determined to see her precious baby saved. You really can’t make this kind of testimony up, God is at work! 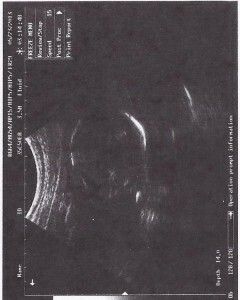 Here is the ultrasound picture of the baby. The baby is facing us and on the right side is the light shining on the baby’s head and in the upper right, it is…as if there is a light shining into the womb! Well here she is! She was born May 2nd, almost 8 lbs. Click here to listen to Bud’s National Day of Prayer Talk. This month, Tara was interviewed on a local Christian TV station KAZQ TV-32. It was a great interview with great questions about late-term abortion in Albuquerque and how to get involved with Project Defending Life! The interview with Tara begins at 11:50. Albuquerque, NM —Abortionist Kermit Gosnell was recently convicted of first degree murder of viable late term babies who were born alive after illegal late-term abortions. What he did to these babies has shocked the nation, but his actions are really business as usual at abortion clinics around the country. The horrific crimes that took place at Kermit Gosnell’s abortion clinic have put a spotlight on the barbaric act of late-term abortion. However, the crimes committed in Pennsylvania are not isolated incidents. In fact, Albuquerque, New Mexico is home to one of the nation’s most high profile late-term abortion clinics, Southwestern Women’s Options, which doles out to women the same late-term procedure that Gosnell subjected his patients to, with only one difference; in Pennsylvania it was illegal to kill babies after 24 weeks but in New Mexico it is legal to kill a baby up to the day of birth. In fact, New Mexico provides no restrictions whatsoever on abortion. 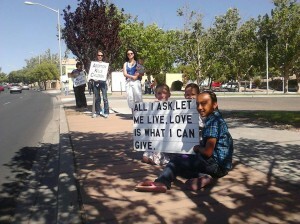 ~Please keep us in your prayers as we continue to be advocates for the women and children of New Mexico.